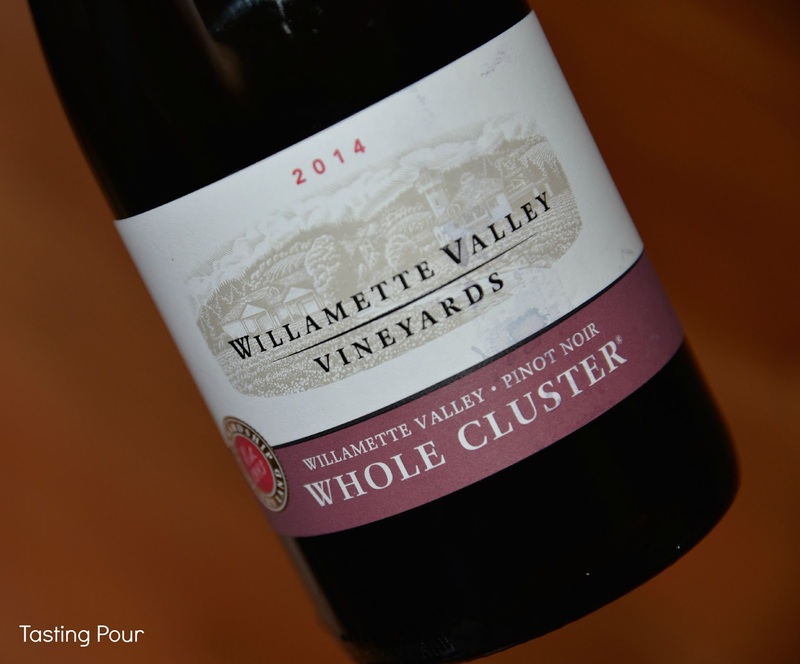 The award for Best Supporting Actor in a Bottle goes to Willamette Valley Vineyards 2014 Whole Cluster Pinot Noir. This wine studied method acting with a French director- Beaujolais. Made using carbonic maceration – typical for many Beaujolais wines, this Pinot noir was the juicy, fruity, “pair with a glass” wine needed to complete the cast for movie night. Carbonic maceration is a whole berry fermentation that results in a red wine with hardly any tannins (similar to the texture of a white wine). Super fun and easy to drink, we served this bottle slightly chilled. An encore would be welcome. Consider this wine for your own movie night, to serve with light appetizers, or with BBQ. 1. Movie – Choose a family friendly movie or play a different DVD in the playroom for younger guests. 2. 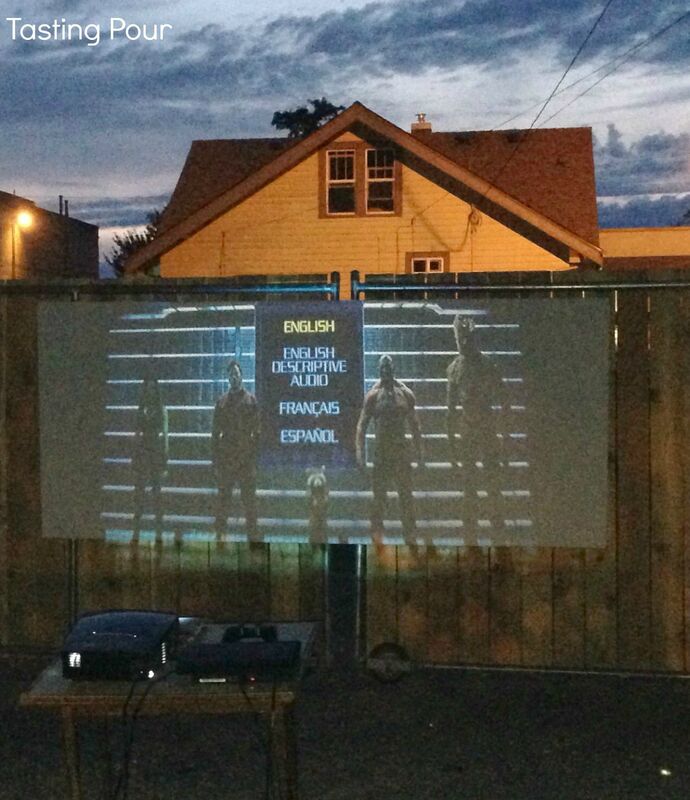 If you don’t own a projector, some libraries loan them. 3. No projection screen? A white sheet or 4X8 foot piece of plywood painted white work too. Remember that your movies will be presented with a 16:9 or 2.4:1 aspect ratio. 4. Outdoor lights you can’t turn off? Position guests so lights are behind them. 5. Encourage people to bring chairs (and blankets if it gets chilly). 6. Serve movie themed snacks or invite guests to bring their own snacks and beverages. 7. Have guests arrive 30 minutes before showtime to allow for visiting. Play the movie soundtrack to set the mood. 8. Play a Hollywood themed trivia game before the movie. Award boxes of movie candy as prizes. 9. Do not forget to make a humorous announcement about cell phones. 10. Pour a glass, press play, and let the show begin.